It’s not unusual for an online casino games developer to sub-contract some of their pokies to another company, but in the case of Hunter’s Dice by EGT, it’s resulted in a game that’s very different from anything that they have come out with before. 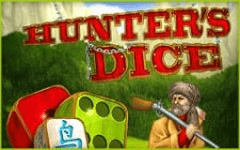 The Hunter’s Dice video pokie has many of the features that EGT’s loyal followers will be familiar with, such as dice symbols and rewarding bonus rounds, but excludes other features like the Jackpot Cards progressive jackpots and the gamble round that can turn a small win into a big payout. This pokie plays safe with the theme however, filling the reels with North American wildlife such as eagles, bison and wolves, along with a grizzled old hunter, his shack and several colourful dice, each made to look like it’s been carved from wood. There’s a nice view of a mountain lake sitting behind the reels, and just to emphasise the theme even further, the control buttons, game title and even payline indicators look as if they are made from wood. There’s 5 reels in this game and the symbols are arranged in 3 rows, with 10 paylines running across. All these lines are active, so the least that can be staked on a spin is 0.10, while the high limit is set at 10.00, and wins come in the conventional way, when 3, 4 or 5 of the same type of symbol stop across a payline on adjacent reels from the left side. Most casinos offer players the chance to practice on free Hunters Dice video pokies, just so they can see how it all works, but there’s a pay table which can be reviewed as well. This shows gamblers what they can expect to win with each combination, with the least valuable dice being the red and orange that both pay out 10x the line bet when landing on 3 reels, while 4 or 5 of a kind are worth 20x or 40x. Next up are the yellow and blue dice, and these are valued at 10x, 40x or 80x, while the dark blue or green dice will each return wins equal to 20x, 60x or 160 coins. 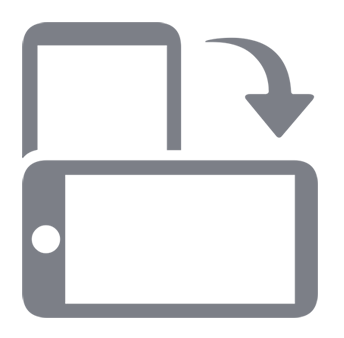 The top half of the pay table is taken up with picture symbols, each of which is accompanied by a white dice with a Chinese letter on it. The Chinese part of this equation may be a little out of keeping with the theme, but it adds some decoration, so we won’t dwell on it. The eagle pays out 40x, 80x or 240x the line bet when it flies onto 3, 4 or 5 reels across a payline, while the bison is worth 80x, 160x or 320x. The top wins come from the wolf and the hunter, both of which only need to land on reels 1 and 2 from the left side on a line to be worth a prize, ranging from 80x to 800x for the wolf and 200x to 2000x for the hunter. The campfire is a wild symbol and although it isn’t worth anything on its own, winlines can be completed when it’s in the right places. The wild can substitute for any other symbol apart from the scatter, filling in any gaps across a line, or extending a win across more reels, and as an added bonus, the value of any line that it completes will be doubled. A picture of the hunter’s shack is another symbol that isn’t worth anything on its own, but it triggers 10 free spins when landing on reels 2, 3 and 4 at the same time. These spins play out at the triggering bet, and standard reels are used throughout, so there’s no enhanced odds of getting a win. The Hunter’s Dice pokie isn’t really anything too special unfortunately. Anyone looking for a simple game however, could enjoy taking these reels for a spin, as there’s some reliable winnings to be had, but apart from very short animations when the picture symbols become part of a winline, the design is pretty basic and the bonus features are fairly standard. Having the wild symbol double the value of any combination that it completes is a reasonable feature, and free spins are always nice to get, but these are nothing unique, so this pokie is really only going to appeal to those who like the wilderness theme.